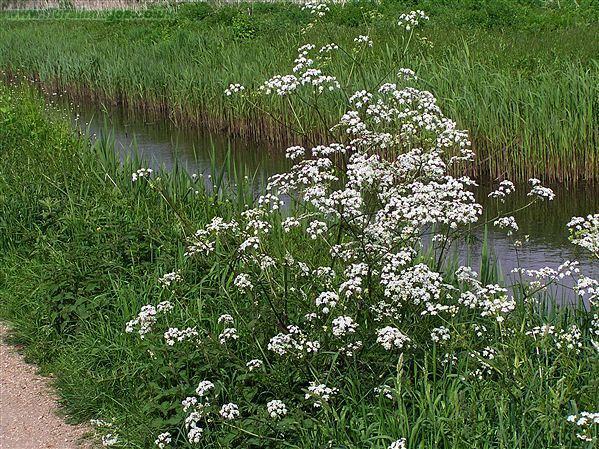 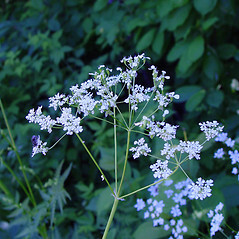 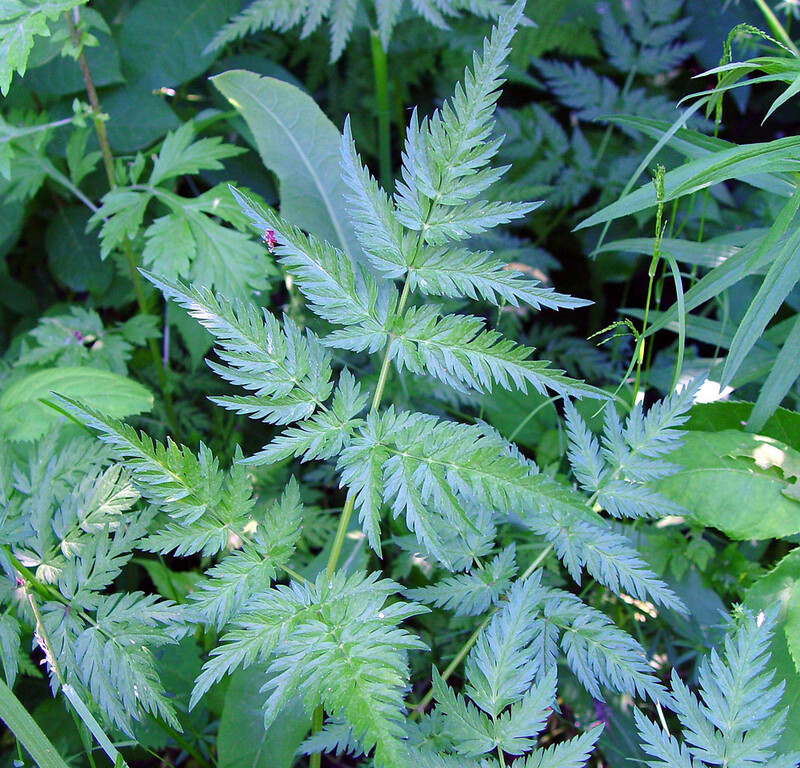 Wild chervil is a Eurasian plant introduced into North America. 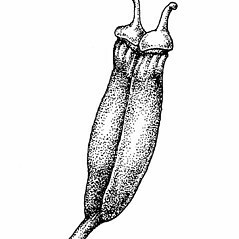 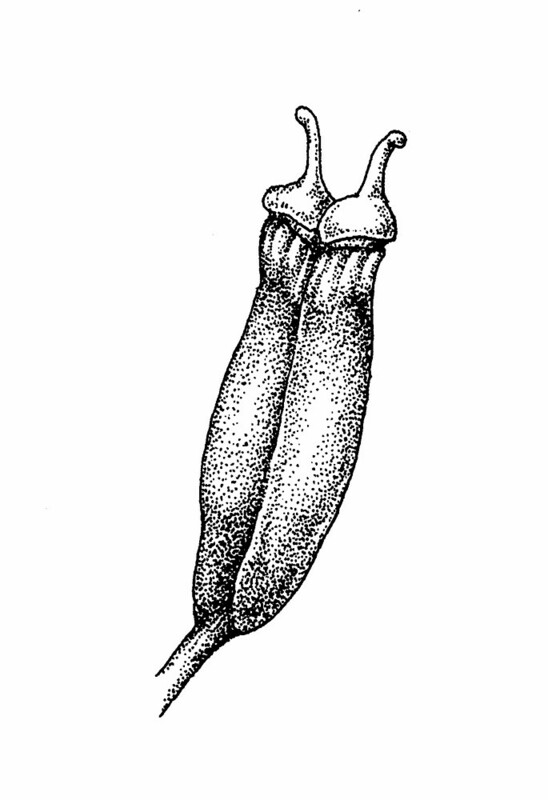 Cultivars are grown as garden ornamentals. 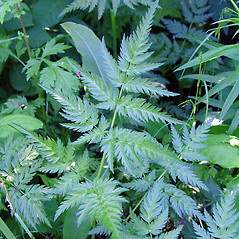 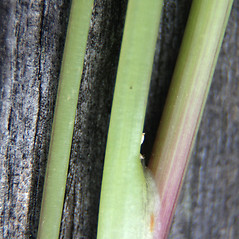 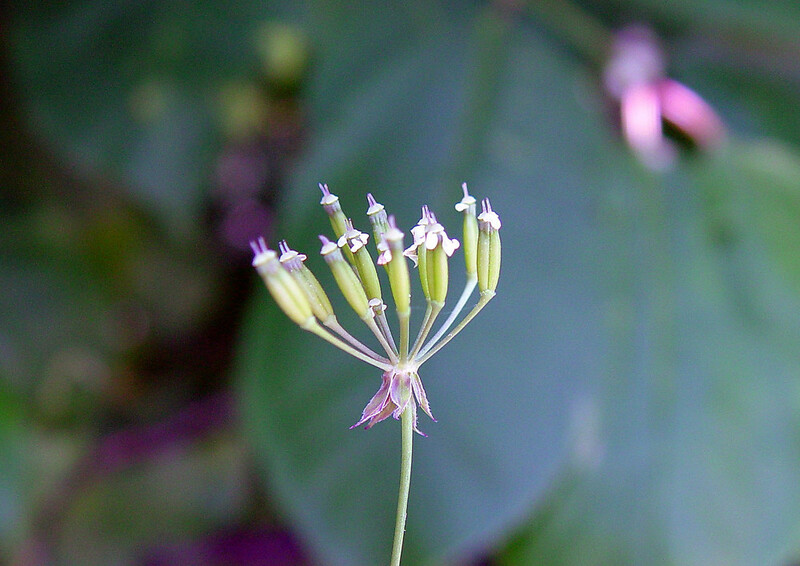 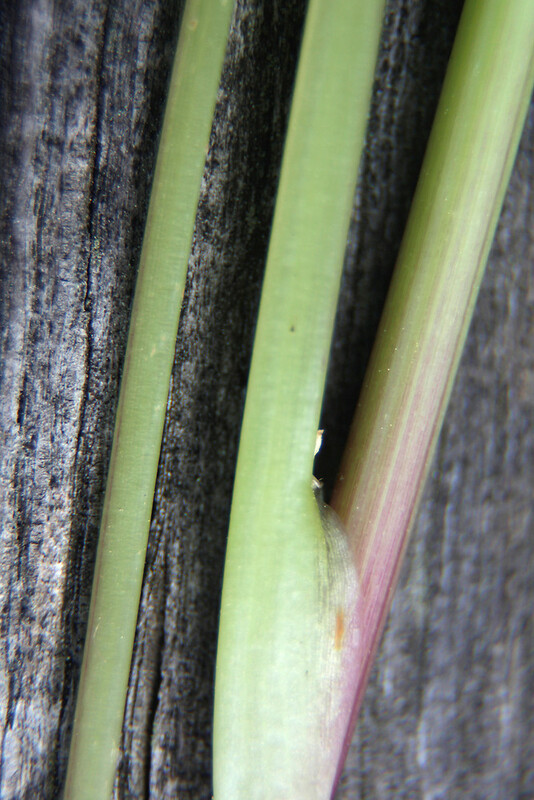 It was first reported from New England in 1919, and is now found in all New England states, although it appears to be most prevalent in central Vermont, where it invades hayfields and pastures. 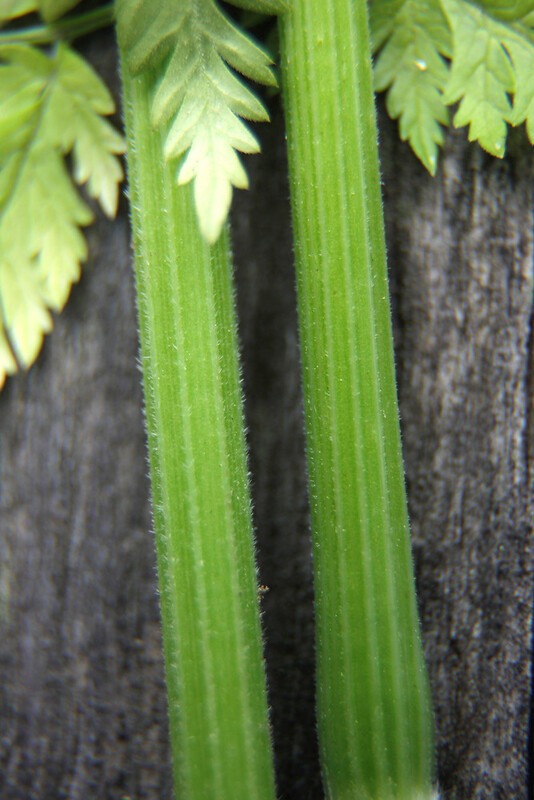 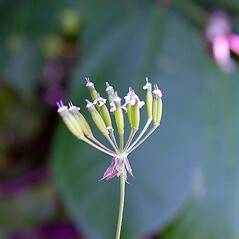 umbels with 2-6 primary branches, ultimate segments of leaf blades mostly 5-10 mm long, and bracteoles of umbellets linear (vs. A. sylvestris, with umbels with mostly 6-15 primary branches, ultimate segments of leaf blades mostly 15-50 mm long, and bracteoles of umbellets narrow-ovate). 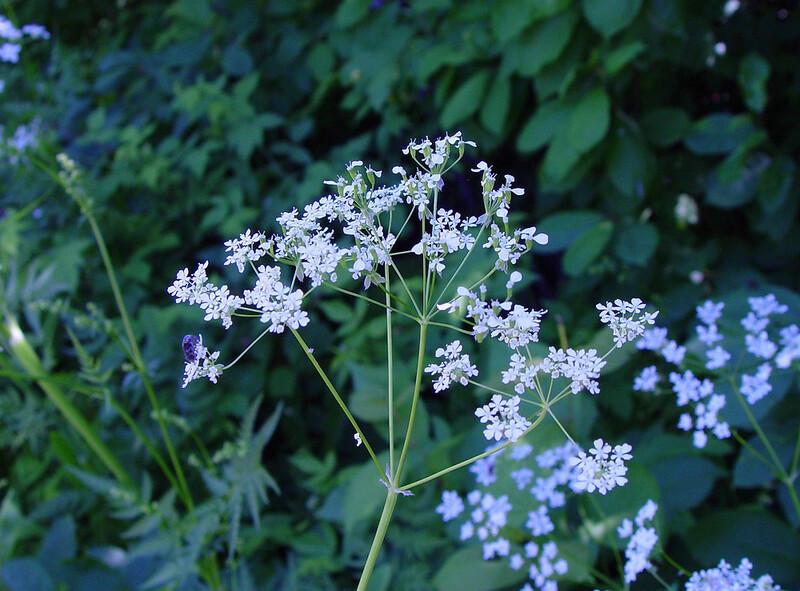 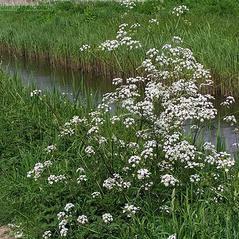 wild chervil. 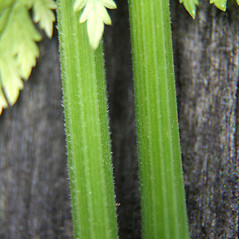 Chaerophyllum sylvestre L. • CT, MA, ME, NH, RI, VT. Roadsides, field margins, disturbed areas.